Jasen Castillo is an associate professor in the Bush School of Government and Public Service at Texas A&M University. Prior to joining the Bush School, Jasen worked in the Department of Defense's Policy Planning Office. Before working in the Office of the Secretary of Defense, he was an analyst at the RAND Corporation, where his research focused on military strategy, nuclear deterrence, and WMD terrorism. Prior to RAND, he was a consultant for the Institute for Defense Analyses. 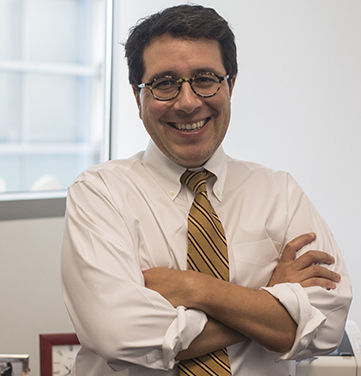 Dr. Castillo earned his PhD in political science from the University of Chicago, where he received research support from the National Science Foundation and the Smith Richardson Foundation. His research interests include US defense policy, military history and nuclear deterrence. His publications include: Endurance and War: The National Sources of Military Cohesion ; Flexible Response Revisited: Assessing Pakistan’s Potential Nuclear Strategies ; Striking First: Preemptive and Preventive Attack in U.S. National Security Policy ; “Nuclear Terrorism: Why Deterrence Still Matters,” Current History, Vol. 2, No. 668 ; and Economic Growth and Military Expenditures. Currently, he is working on a project exploring the deterrence and defense strategies of nuclear weapon states outside the US security umbrella.